If you’re planning a trip to Scranton, you may want to add floral sightseeing on your vacation to-do list. Scranton, Pennsylvania is home to numerous gorgeous plants that add interest to perennial landscapes. Whether you’re a visitor to the city or a local looking for suggestions on what to plant in your garden, consider these native plants to make a showstopping landscaping statement. This gorgeous plant is known for its showy flowers of red, yellow, and pink. Once believed to be a love charm by Native Americans, it attracts long-tongued insects and hummingbirds. This plant is well-established throughout much of the Eastern United States, increasing rapidly through self-seeding. The genus name, Aquilegia, comes from the Latin, Aquila. This word means “eagle” and refers to the plant’s spurred petals that look much like an eagle’s talons. This native plant goes by many names, including Butterfly Milkweed, Butterflyweed, and Pleurisy Root. It is prized for its beautiful bright orange flower clusters and is grown most commonly from seed in home gardens. Its tough roots used to be chewed by Native Americans as a cure for pleurisy, hence the alternative name. While it’s nonexistent in modern medicine, it remains an attraction for pollinators like butterflies and honey bees. This plant offers beauty throughout all of the seasons. A robust perennial, it sports bluish-purple flowers in pea-like shapes. It’s a member of the pea family and requires microorganisms to inhabit its roots for proper growth. Producing flowers from April until July, this flower is typically found growing natively in limestone glades and prairies, as well as on the outskirts of forests. This low-lying plant produces gorgeous, velvety, heart-shaped leaves. Each flower is a greenish-purple color, surrounded by evergreen leaf blades. Known for its intense flavor, wild ginger produces a cluster of condensed growth on the forest floor. 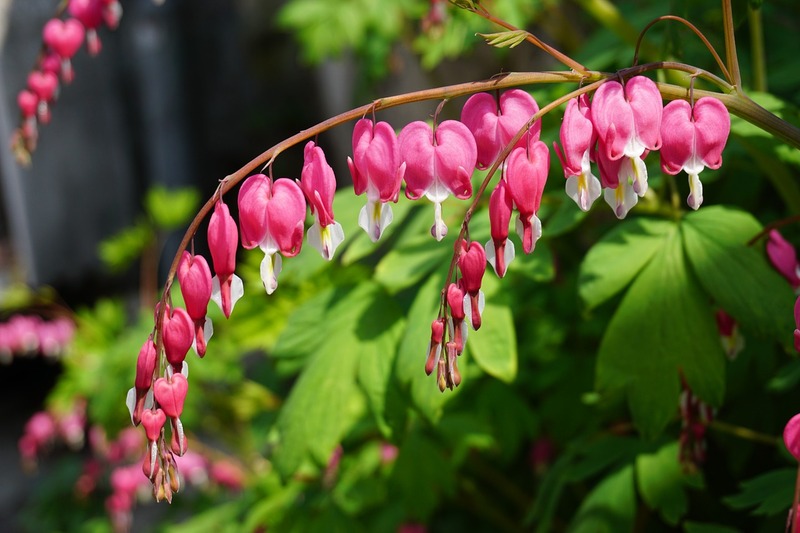 Known colloquially by several names, such as Turkey corn and bleeding heart, this attractive perennial grows in a bush-like fashion. It produces magenta flowers in heart-shaped clusters and forms new growth quickly. It is more common in mountainous areas but is also frequently cultivated in home gardens. With black seeds and tasty green pods, this plant is a favorite among local wildlife. This tiny, delicate iris produces clusters of narrow leaves up to sixteen inches long. The flower itself is violet-blue and sits atop a slender stalk. This flower is found all over the country, from New York all the way south to Florida. Its colors range throughout its blooming period, spanning from white to blue to purple in a majestic display of color. Why should you choose native plants for your garden? These plants are ones that grew in Pennsylvania long before the European settlers arrived. Because they are well-adapted to the harsh Pennsylvania climate, they’re easy to care for and tend to hang on once they’ve become established. They provide significant biodiversity and help to support other native organisms, such as indigenous birds and insects. Consider planting one of these gorgeous plants (or visiting them if you’re passing through) to help contribute to the beauty and diversity of Scranton, PA. Need help choosing the right plants for your lawn? Visit our Scranton lawn care page for more information! The post Native Plants to Scranton, PA appeared first on Lawnstarter.